Atal Bhoojal Yojana (Water Conservation Scheme) Proposed by Central Govt. Sarkari Yojana » Central Government » Atal Bhoojal Yojana – Water Conservation Scheme to be Launched by Central Govt. Central Government is going to start Atal Bhoojal Yojana – Water Conservation Scheme. Subsequently, this scheme will improve the existing condition of several water bodies of the country. In addition to this, the proposed scheme will help in raising the level of ground water to meet the needs of the agricultural sector. Central govt. has proposed 6,000 crore to successfully implement this large project. This scheme will raise the underwater level to provide pure and clean water for the use of farmers. Govt. will ensure revival of water bodies to properly supply groundwater and Ganga River Water for agricultural needs. Moreover, all the people of rural and urban areas can take benefits of this scheme. 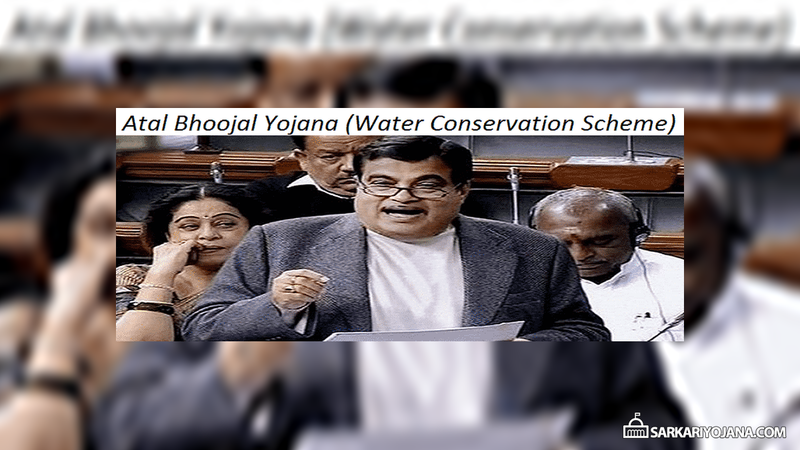 Nitin Gadkari, Union Minister announces this water conservation scheme on 21 December 2017 at the question hour of Lok Sabha. The authorities are still working to successfully implement this scheme. Subsequently, Finance Ministry will approve the budget for this Bhoojal Pariyojana. Necessity – The level of ground water is reduced to its lowest level in the recent years because of extensive tapping across the country. Govt. has planned this scheme to conserve the water bodies which is an area of concern for the authorities. Benefits – This scheme will help in reviving the water bodies. Moreover, the levels of ground water will also get improved especially in rural areas. Beneficiaries – Govt. will implement this scheme across the country. All the people can then use underground water or water from Ganga river. This scheme will provide more benefits to the people of rural areas as compared to the people in the urban areas. Provisional Budget – Central govt. has allotted a budget of Rs. 6000 crore for this scheme. But the approval process from the Finance Ministry is still in progress. In addition to this, Union Ministry of Water Resources is also holding talks to the World Bank for the financial assistance. Central govt. is planning to introduce this scheme to improve the water bodies across the country. This scheme will resolve the problems of getting ample water to satisfy the need of water for agricultural purposes. Central govt. will launch Atal Bhoojal Yojana after the financial issues get resolved.